Nearly everyone has experienced a moment when a faint fragrance brings a memory of a long-lost moment in time crashing back to the forefront of their minds. Often we will have forgotten about the event completely, yet it transpires our unfathomable minds have filed it neatly in some unreachable corner of the brain, primed for instant retrieval. perfume worn by a long-forgotten friend, the smell of petrol from a youth spent worshipping motorcycles or the haze of chlorine from summer months lazing by the pool. But what about destinations? Can a certain aroma transport you to specific places around the globe? Undoubtedly food can play a huge part both in happy memories but also scents. The smell of delicious, sizzling lamb immediately takes us back to the crowded, maze-like streets of Sultanahmet, Istanbul. From doner to Cag Kebabi, the smells of the roasting meat remind us of the loud sounds, dust, traders and the wailing call to prayer. Sitting on the road side eating tasty morsels of meat, watching men fish over the side of the Bosphorous Bridge as a tea boy pours a fresh cup of Turkish tea, are all immediately recalled with the smell of roasted lamb. freshly lit cigar instantly brings us to Cuba. The warm, sweet smells of the finest tobacco transports us to the famous drying huts of Viñales and the expert cigar rollers who make it look so simple. Images of enormous fat cigars being smoked by woman in traditional clothes float into our minds mixed with the rhythms and beats of Cuban rumba. With enough experience and practiced skills one can even smell the difference between Nicaraguan and Cuban cigars within seconds of one being lit. 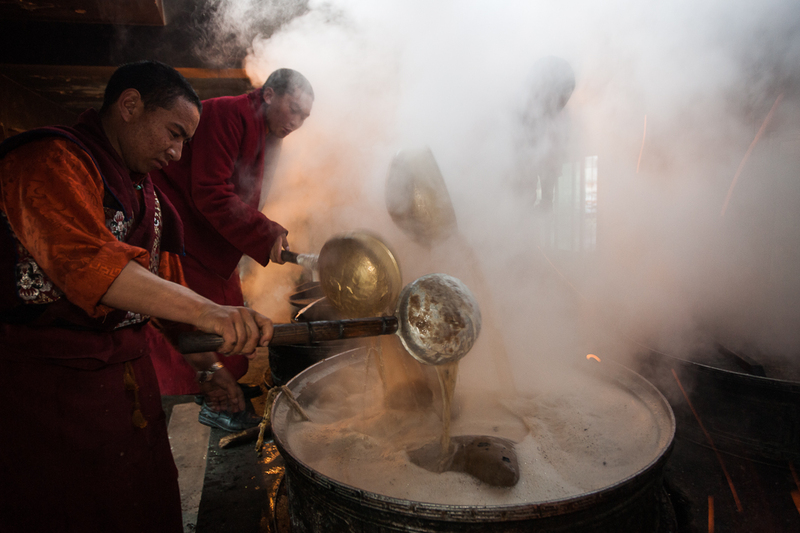 There are two distinct aromas that whisk us straight back to the high Tibetan plateau. The delicious natural fragrance of Tibetan incense is the first. Different from many other types of incense from around the world, it has no artificial perfumes and is made of natural elements such as sandalwood, magnolia, hibiscus, jasmine and other flowers blended with Himalayan herbs. Each time we smell Tibetan incense, if we close our eyes we imagine Buddhist monks wandering by on their way to prayer and giant statues of the serene Buddha. benefits and some research points to it being a superfood. It is known to increase your libido, help with insomnia, make you strong, and increase your endurance for a day of hard work. However it does have its own unique scent. It is somewhat like walking inside of a cheese cave, but with a hint of yak fur smell. It is sort of like wet dog, but a bit earthier with undertones of barn. It is not unpleasant; but it certainly is an acquired taste that will linger with you for years to come. You’ll never forget where you first encountered it or who it was you shared your first cup with. develop your own olfactory memories contact us.